The National Hispanic University was established in 1981 to serve the needs of Hispanics, women, oth…. 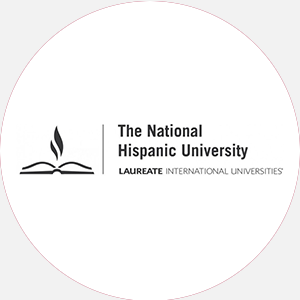 The National Hispanic University was established in 1981 to serve the needs of Hispanics, women, other minorities and other learners. The late 1960s witnessed the development of equal educational opportunities for Hispanics and other minorities, which became a major issue in higher education. In California, the University of California and the California State Universities established a number of programs to promote access t for Latinos to higher education. These programs, most notably Student Affirmative Action for the University of California system, Educational Opportunity Programs in the California State University system and Colleges, attempted to address the burgeoning numbers of minorities who needed higher education. Many Latinos benefited from these initiatives in the 1970s and 1980s. However, the gap between Hispanics and whites continued to widen. The large influxes of Mexican immigrants with limited English skills, the elimination of race-based” admissions, the lack of educational achievement in K-12 and the population explosion of Hispanics in the last twenty years are key reasons why Hispanics continue to lag behind whites and others in higher education completions. The National Hispanic University is accredited by the Accrediting Commission for Senior Colleges and Universities of the Western Association of Schools and Colleges (WASC). The National Hispanic University has approval from the California Commission on Teacher Credentialing (CCTC) to grant Multiple Subject and Single Subject Teaching Credentials (English, Math, Science, Social Science, PE, Art, and Spanish) and BCLAD/CLAD Certificates. NHU has state approval for the Multiple Subject California Subject Examinations for Teachers (CSET) waiver. The National Hispanic University is also accredited by the Accrediting Council for Independent Colleges and Schools (ACICS). NHU received eligibility to participate in federal assistance programs. NHU is authorized under Federal law to enroll non-immigrant, international students. Some students don\’t apply for financial aid because they think aid is not available. They’re wrong. More than five million students throughout America are getting some outside help this year. Further, billions of dollars go unclaimed each year because no one applies for them. You don\’t have to be poor to qualify, but you do have to show that you need aid. \”Need\” is the difference between what it costs to attend a college and what you and your family can afford to pay toward the costs. Have graduated from a recognized secondary school, or Have taken the test of general education development (GED), or Possess the equivalent in formal education; Have a minimum secondary school grade point average (GPA) from the last three years of study of 2.0 for first-time freshman, or 2.0 GPA for transfer students (on a four-point scale). Students with less than 2.0 GPA, may petition in writing to NHU admissions for consideration on a probationary admission for the first semester of enrollment. Students admitted on probation must obtain a 2.0 or better in their first semester to continue. Failure to do so may disqualify the student; Students need to provide the following to the Office of Admissions in order to ensure proper processing of the application: Students need to complete NHU admission application; A .00 non-refundable application fee; An official high school transcript or an official GED test score. (Must be sent directly from originating school/agency to NHU). A student unable to provide these may complete a High School Graduation/GED Statement, attesting to having completed high school or the GED; Official transcript from each college attended, if applicable*; One letter of recommendation; Statement of purpose; Enrollment Agreement. More than 80% of the student body has been of Hispanic descent along with African-American, Asian, American Indian and White. From the beginning, The National Hispanic University has defined itself as a Total University. Each educational program has been designed as a stepping-stone for all Hispanic and other students, from preschool through undergraduate school. Along with a diverse faculty and staff, all students act as role models for younger students. This is especially evident in the commencement exercises when five-year-old students from El Nuevo Mundo march in caps and gowns alongside NHU degree students, as do former high school dropouts who have earned their GED (high school equivalency) diplomas. The NHU celebrates each milestone as students move up the education ladder. According to the census bureau report, 35 million Hispanics live and work in the United States making it the largest minority population in the U.S. Because of family size and continuing immigration, this population is the fastest growing in the country, increasing five times as rapidly as the rest of the population. Yet, Hispanics are also the most poorly educated. Only about 50% of Hispanics under the age of 19 finish high school. Hispanics make up only 5% of the students enrolled in U.S. colleges and universities, and only one out of ten of them graduate. NHU\’s philosophy of high expectations, academic support, mentoring and role modeling for students in a small classroom setting has helped diverse students overcome the initial barriers to success. More than 80% of the student body has been of Hispanic descent along with African-American, Asian, American Indian and White. NHU promotes peer support and understanding. Similarly, the high percentage of minority faculty and staff provides role models and multilingual assistance, as needed. All students are encouraged to aspire to excellence. Much is expected of them, even before they reach the university level, as can be seen in NHU\’s pre-school, middle and high school Educational Talent Search, Upward Bound and Charter School programs. Athletic Program call the university for more info. Registration for monthly modular classes starts immediately after that semester\’s Schedule has been issued and remains open (for each succeeding month) until the second class session/ meeting of that particular course.